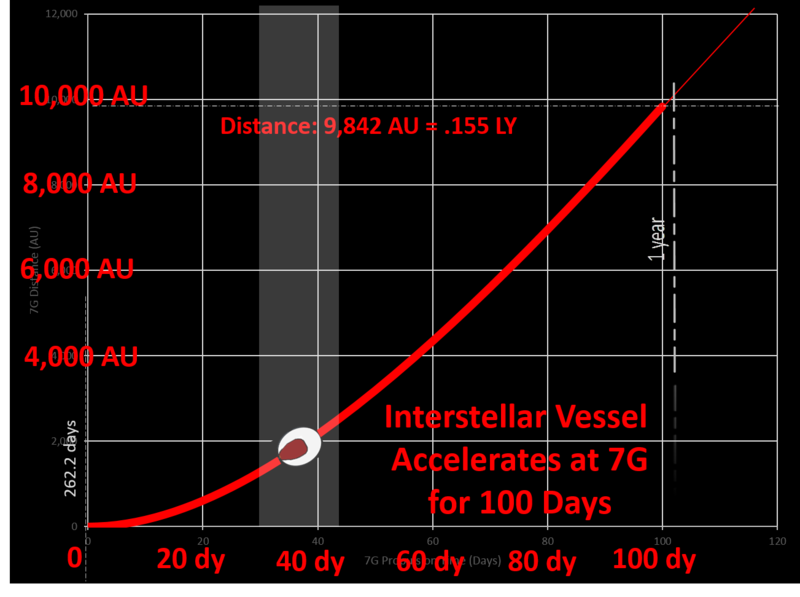 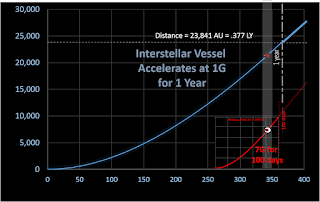 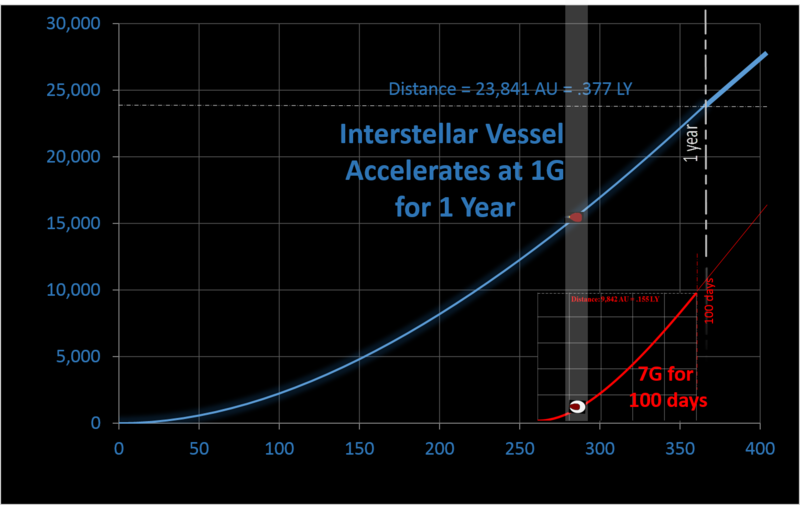 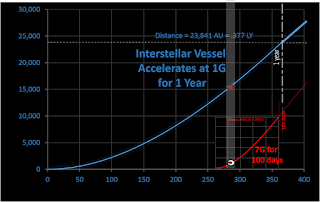 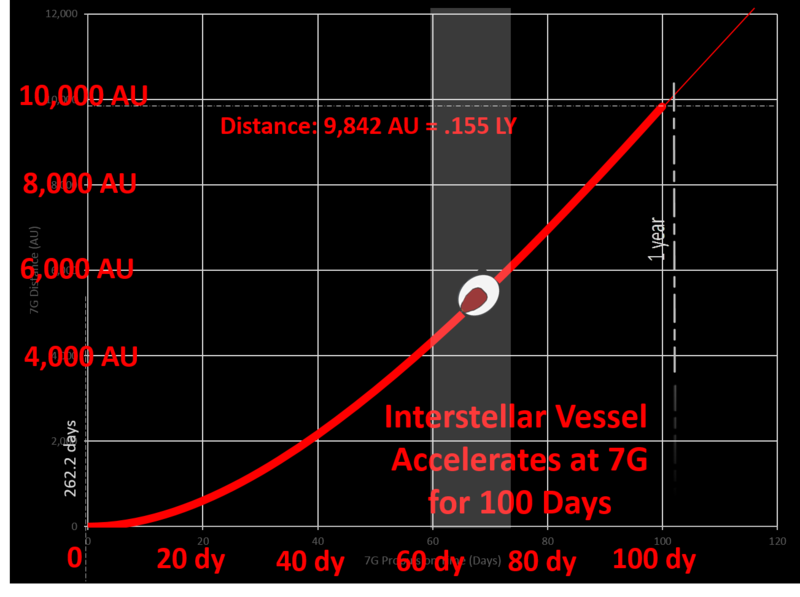 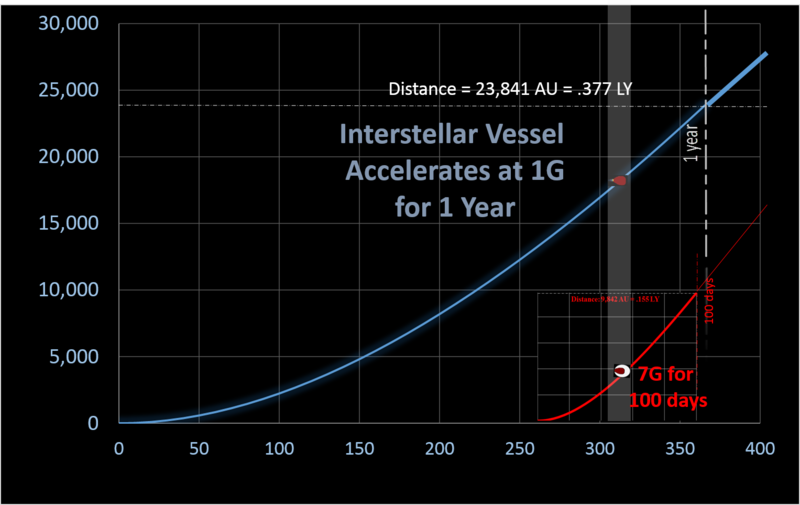 To effectively accomplish an interstellar resupply mission, an Artificial Intelligent (AI) vessel could use 7G propulsion to quickly intercept the primary 1G vessel. 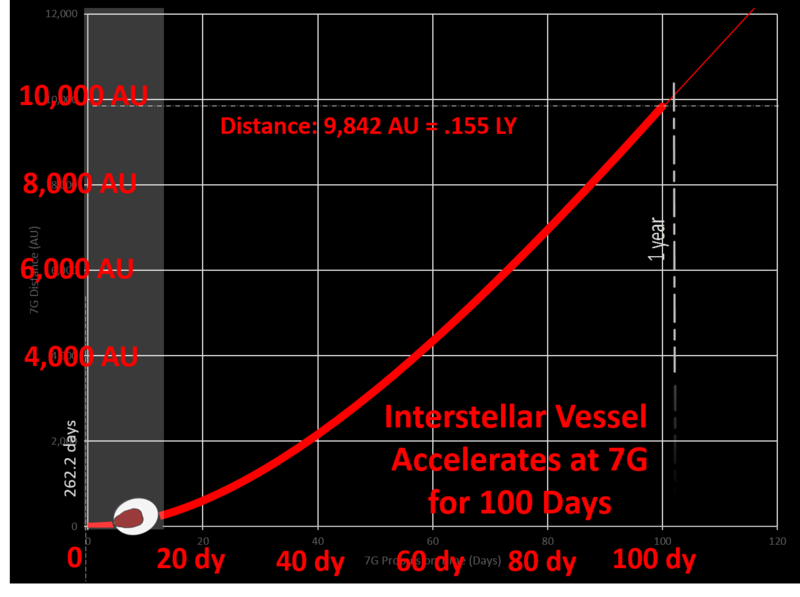 EXAMPLE: the 7G vessel needs only 100 days to greatly exceed the 1G vessel cruise velocity. 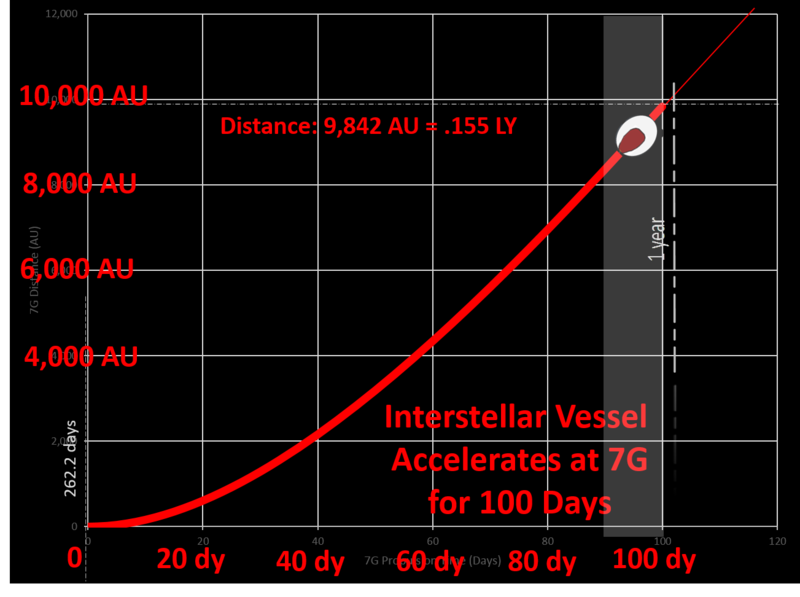 This table describes daily progress throughout a typical 7G acceleration duration planned to stop near the end of the 1G vessel's 1 year acceleration. 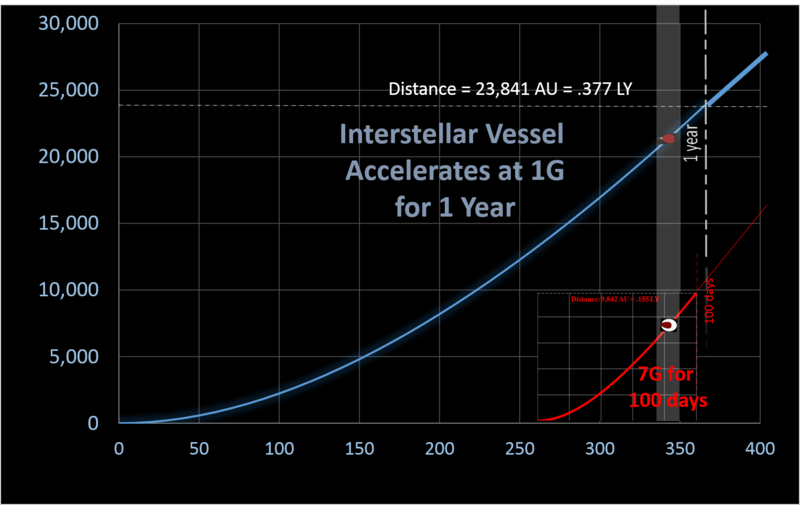 Assume exhaust particle speed is 99% light speed (.99c). 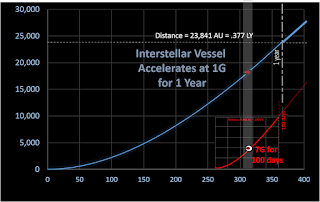 Compensate for inevitable inefficiencies by increasing ∇ by factor, ε.
ε∇ =0.003394 = .3394% GW/day.